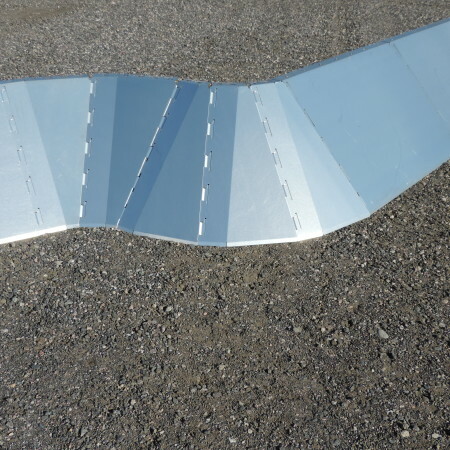 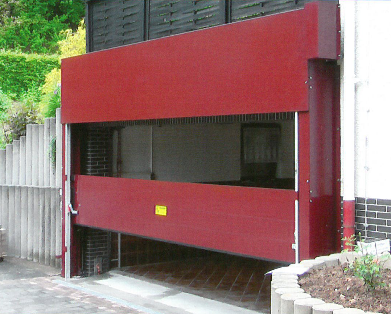 Automatic drop down barrierer EK/VVA enables a full automatic protection against flooding. 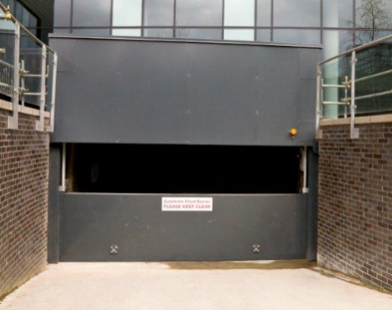 When not in use, the drop-down flood barrier is unobtrusively located above the head of the opening, ready to be activated at a moment’s notice. 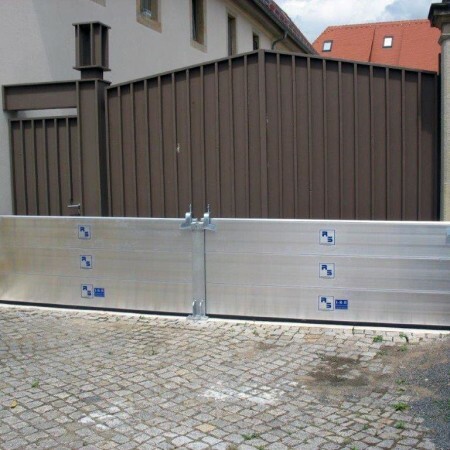 Direct drive electric motors smoothly and precisely lower the barrier in to position and firmly lock it in to place to form an efficient, dependable flood defence. 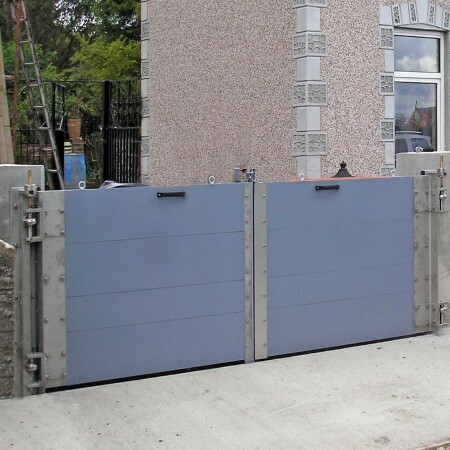 Barriers can be push button operated or fully automatic to operate with rising flood waters. 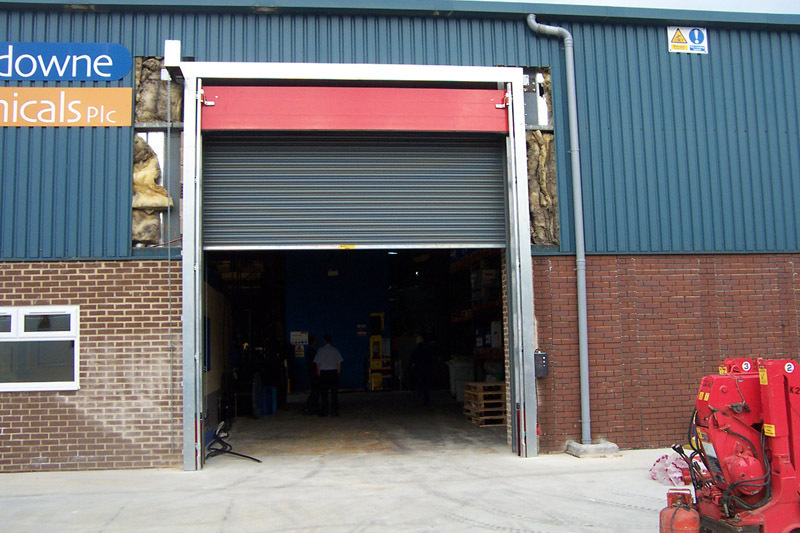 Spans of up to 7m are possible for depths of up to 2.5m, and multiple units can be linked together. 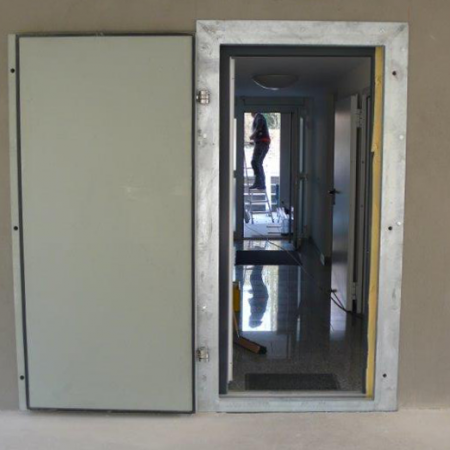 The barriers work on dead level thresholds and require no excavation or civil works to install. 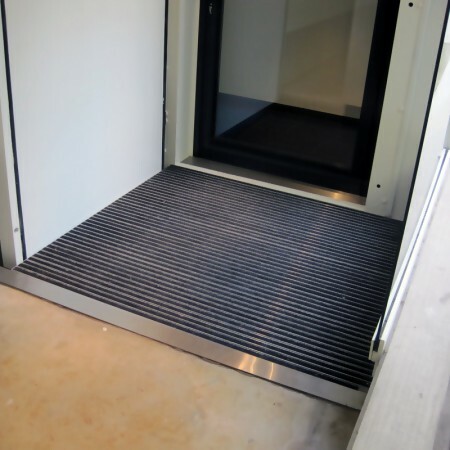 Safety is a key factor in this design and all motors have a ‘free-fall’ dead-stop braking system built-in as standard. 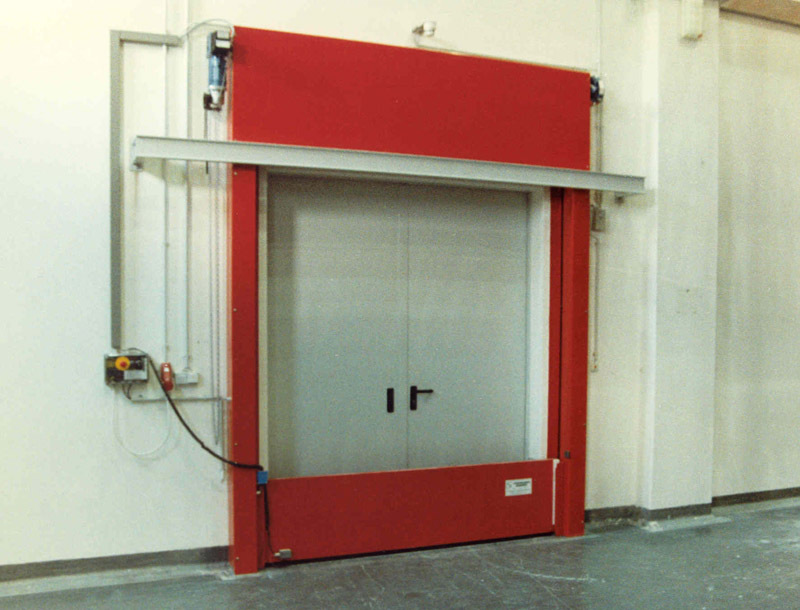 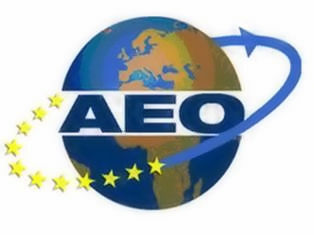 In addition, all systems are installed with a pulley system that overrides the motorised drive and allows the barriers to be manually lowered and raised in safety. 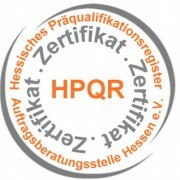 As optional features, the systems can be activated remotely, triggered by water or smoke detection or by security alarm systems. 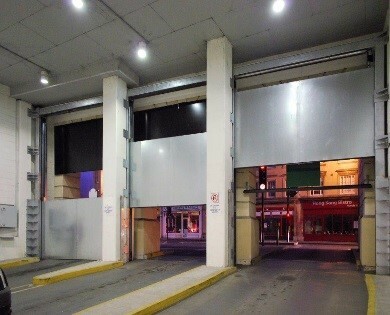 Touch and motion sensors can also be added to the braking system whilst further security is available in the form of audio/visual alarms, warning as the barrier moves. 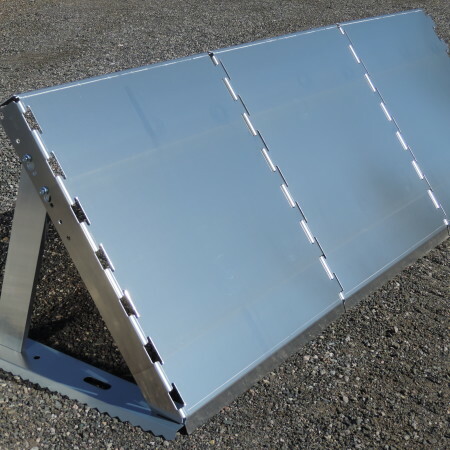 A 24 volt back-up system ensures that the unit will operate in the event of a mains supply failure. 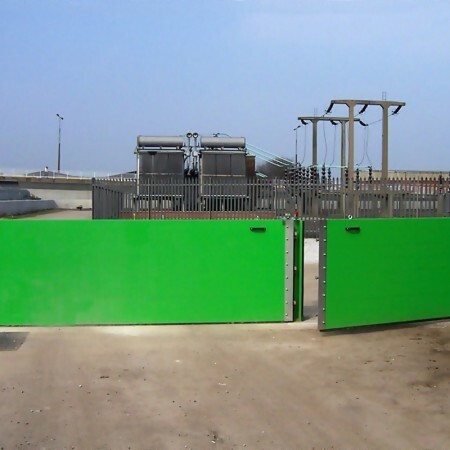 These flood barriers can be supplied in any RAL colour. 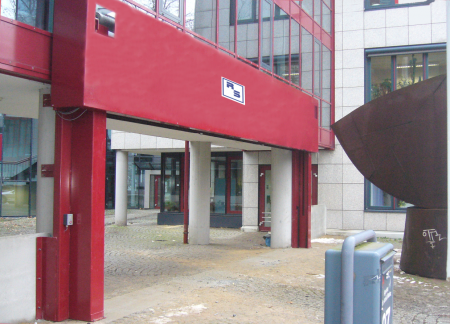 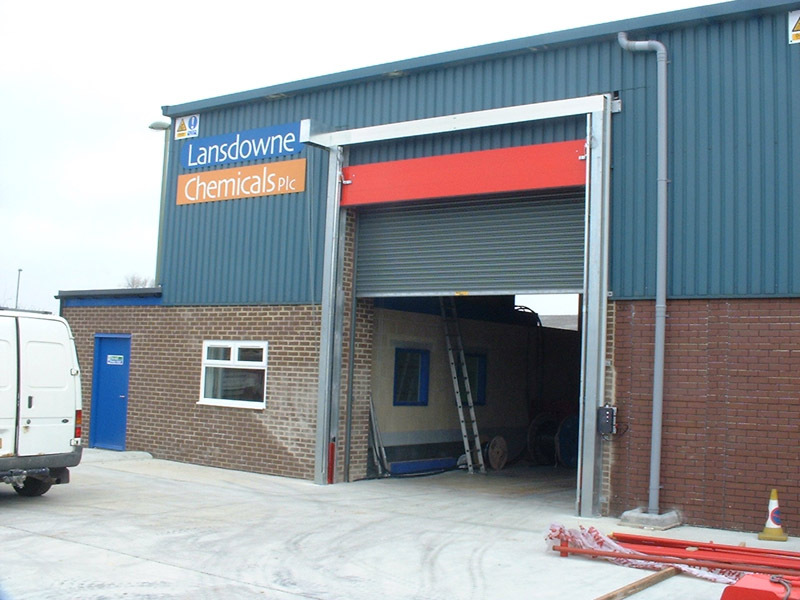 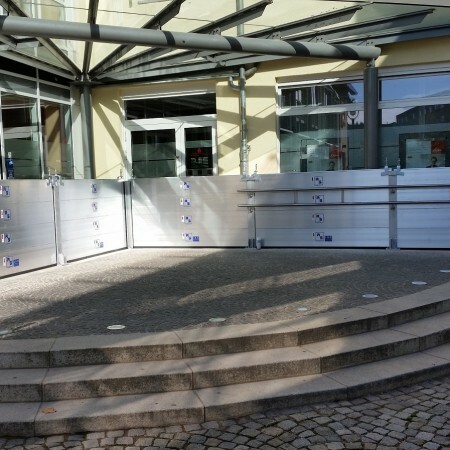 Barriers can be mounted behind building façades making them as desirable in prestigious locations (such as hotel lobbies, plazas, shopping centres and head offices) as they are essential in factory entrances and loading bays. 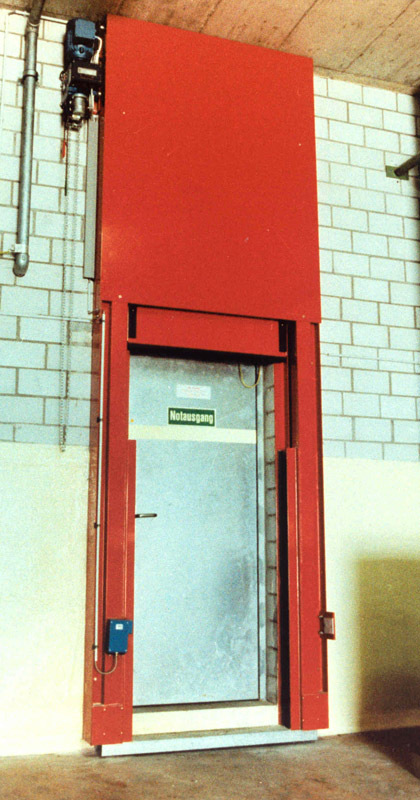 Automatic or push button triggered overhead barriers – flood depths up to 2,5m and widths up to 7m.